It’s a breezy Wednesday morning, and the only sounds heard in the St. Luke’s Episcopal Church sanctuary are intermittent gusts of wind pushing at the windows. 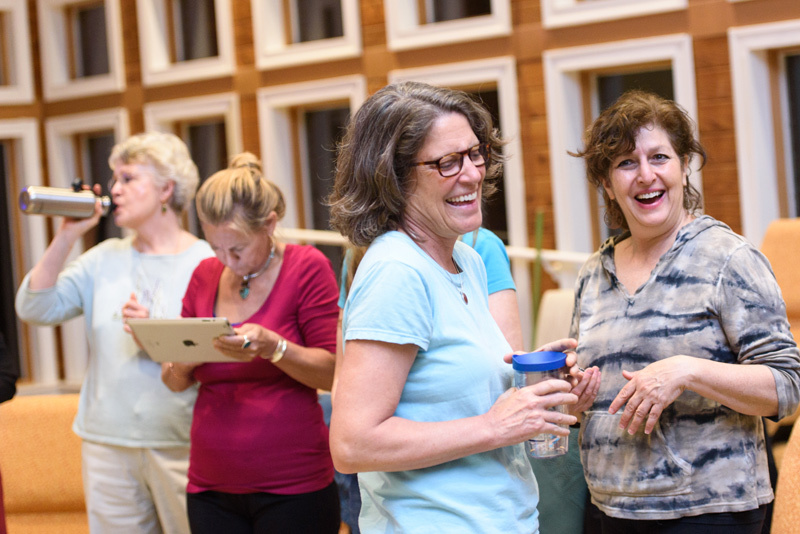 People filter in, and quiet chattering arises from small groups around the room. 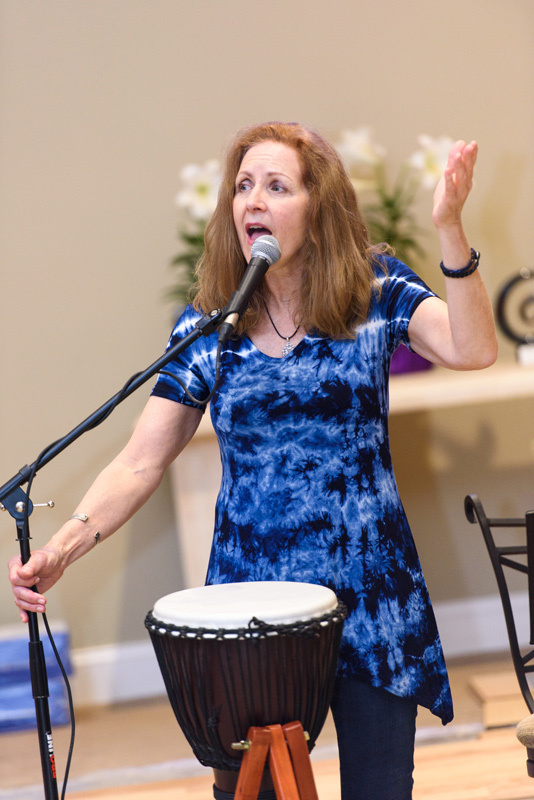 Elizabeth Melvin walks down the aisle, carrying her djembe in a bright-orange-and-black-patterned case. She sets the West African drum in the middle of the dais. Talking ceases as she begins warm-ups, and folks follow along from wherever they are standing. 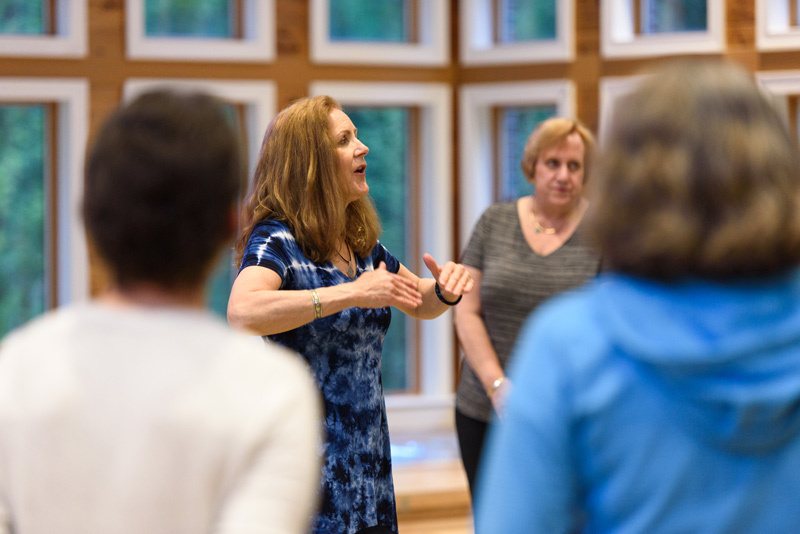 Melvin gathers the group into a semicircle and shifts to vocal exercises: “Pick a high tone in your head voice and release that with an ‘ahhh.’” A serene cherubic sound wafts through the space. “Now move into your chest voice. 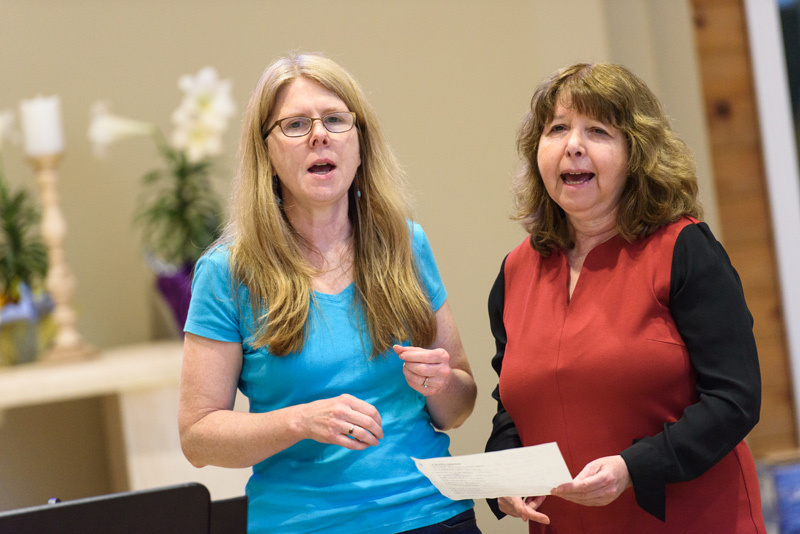 Pick a nice, low, resonant tone,” she says, and deep, sonorous notes resound. After playing with a few more textures, Melvin turns to melody. 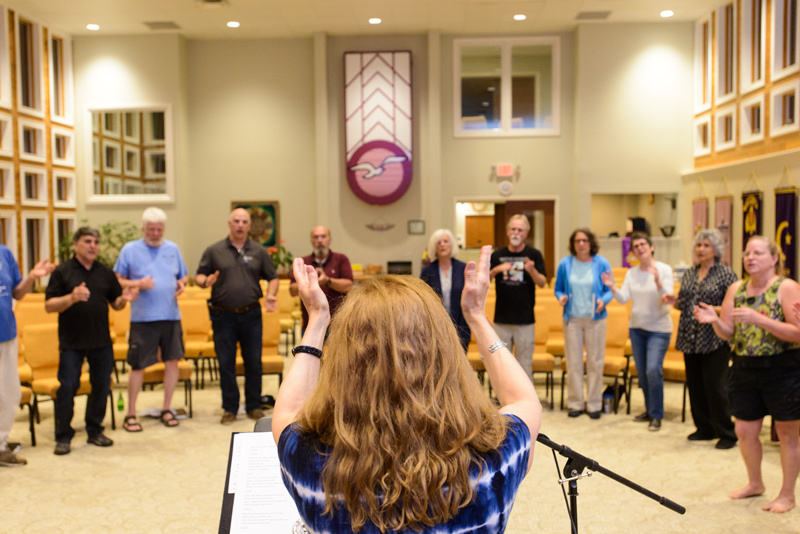 “Just follow my hands,” she instructs, leading the group through a scale, first by counting up, one through eight, and then changing to las, her arms rising with each higher pitch. 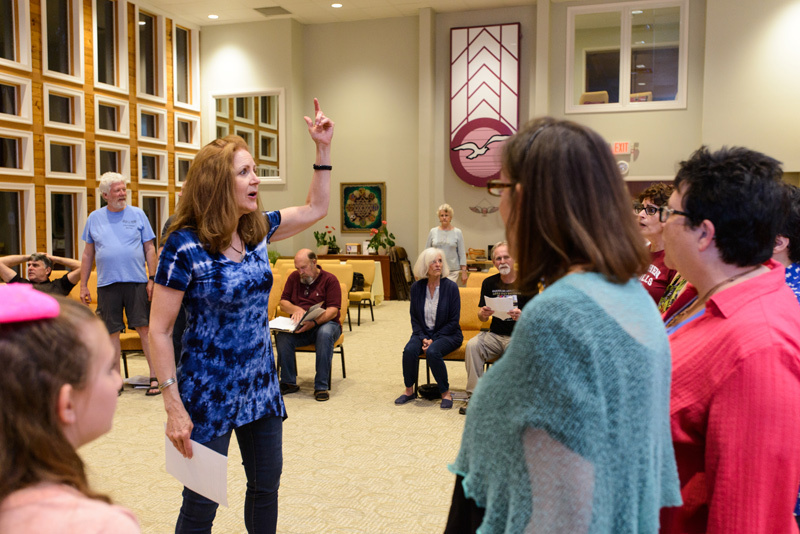 Melvin asks some voices to drone—stay on the first note—while others sing up the scale. She switches roles around the semicircle so everyone gets to drone. 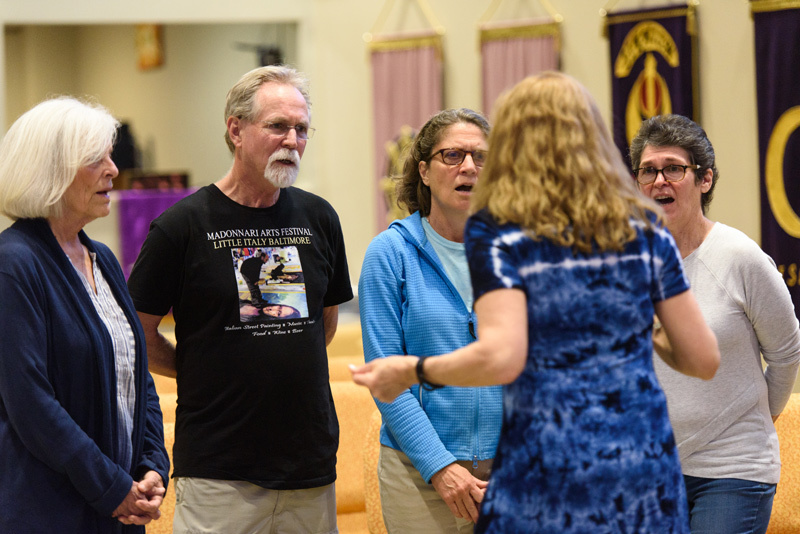 “What you were hearing were intervals,” she explains, “and a way to tune your ears to different intervals.” Thus begins a typical session of the Annapolis Morning (AM) Song Circle. 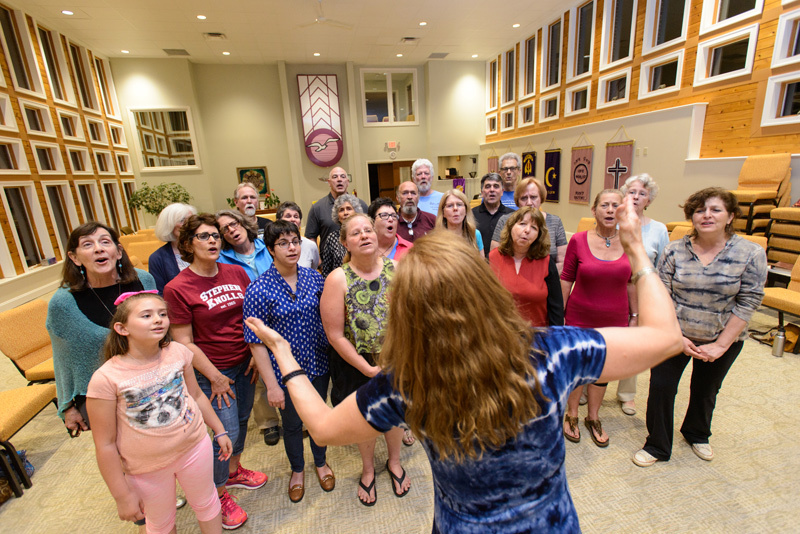 The AM Song Circle and its Thursday-evening counterpart, The Freedom Choir, are local community choirs whose purpose is to bring people together to discover and experience the joy of ensemble singing. 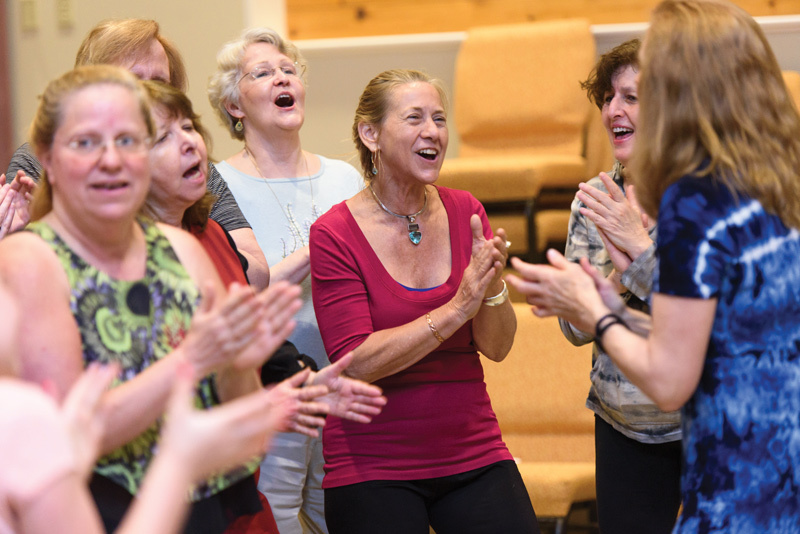 Their credo: Fill your life with songs—all voices welcome, no audition, no experience needed. Born and raised in Annapolis, Melvin was drawn to and played music from an early age. 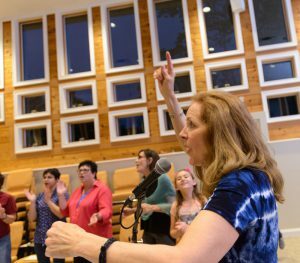 While studying anthropology and ethnomusicology in Baltimore, she immersed herself in African music and rhythms. 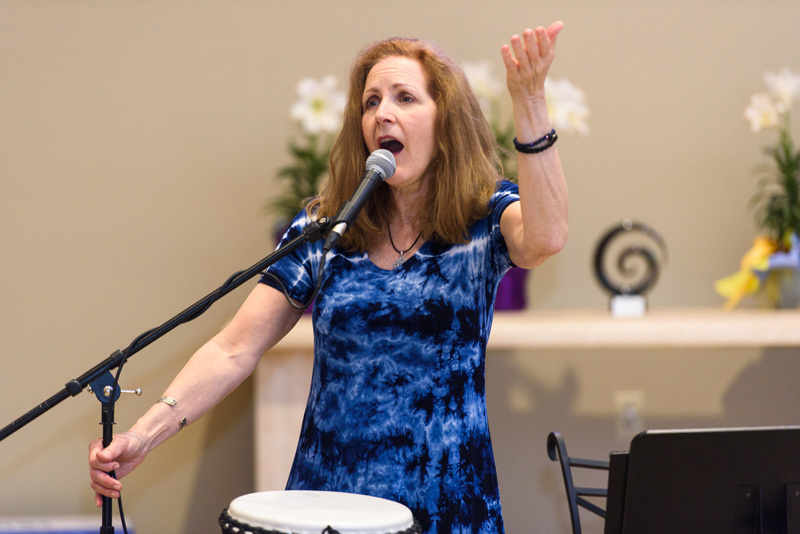 She saw African bands perform in Washington, DC, took marimba (wooden xylophone) lessons from a Guinean master player, and joined a 10-piece world-beat band led by a Senegalese griot (musician, storyteller, and oral historian). In 1987, she and the late Jeff Sarli formed Mama Jama, a reggae-calypso-soca band. Melvin left the group eleven years later to collaborate with a Trinidadian musician. She currently performs with The Late Boomers. Ensemble work is Melvin’s passion. She speaks of the thrill of blending voices: “One [aspect] is vibrational. When you hit the right harmony with someone, it has this attuning effect, which can’t be found in any other mode of communication. And then . 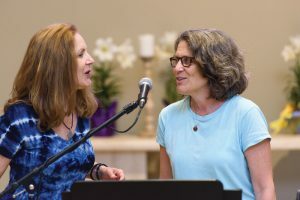 . . it’s a connection between people that’s rare.” In August 2010, while reading a listing in the Omega Institute for Holistic Studies catalogue, she noticed that its workshop leaders had trained at the Community Choir Leadership Training in Canada and immediately felt a calling. 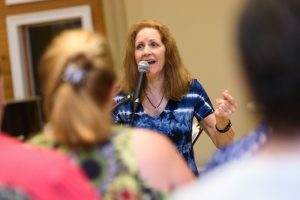 Within months, she was in British Columbia at a two-week immersion training, learning songs and harmony, singing all day and night. Energized, she returned to Annapolis and started up LifeSongs Community Choir—later renamed The Freedom Choir (its motto is “liberate your voice”)—and the AM Song Circle. 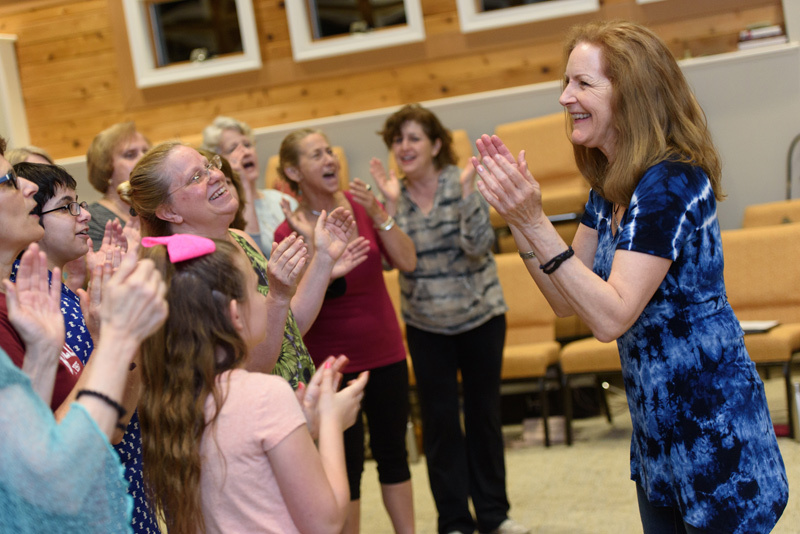 The morning group focuses on learning short, easy songs within the hour and has an informal drop-in arrangement. 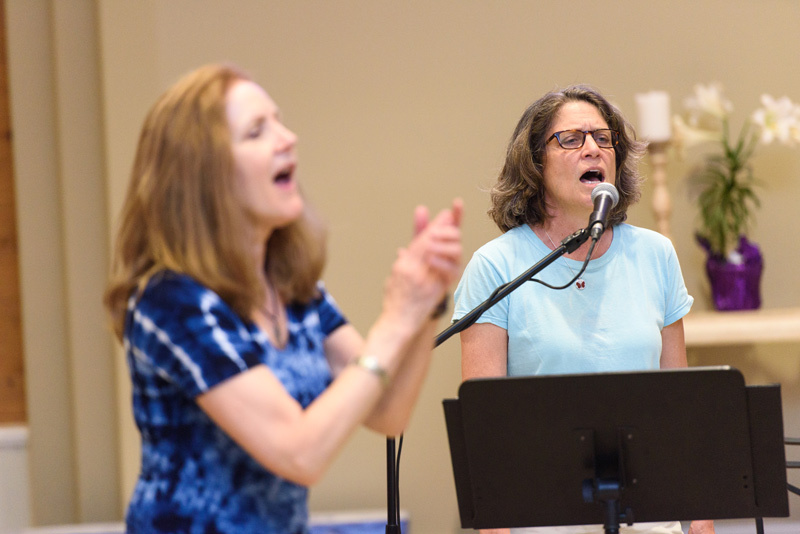 The Freedom Choir works on more challenging songs, which require a weekly commitment to learn. 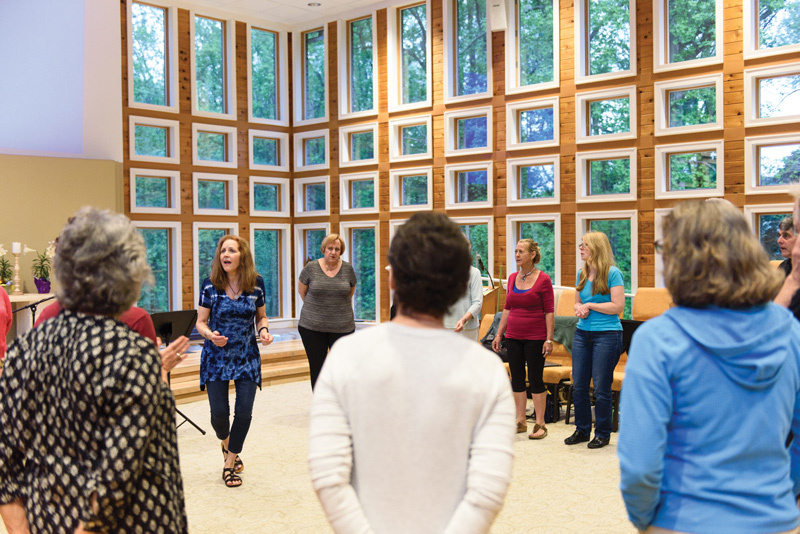 Members enroll for 15-week sessions and practice at Unity by the Bay Church. 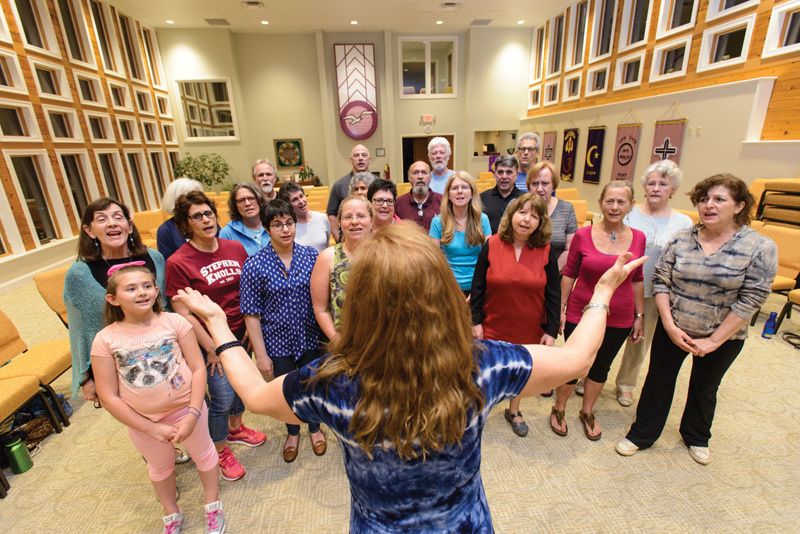 Both choirs occasionally perform, and any proceeds go to nonprofit service organizations. Error: Error validating access token: Session has expired on Saturday, 09-Mar-19 15:57:50 PST. The current time is Wednesday, 24-Apr-19 08:10:51 PDT.